DUBAI, United Arab Emirates (Nov. 13, 2017) - Emirates has opted to provide pilots with a technology that keeps eyes forward and focused on the outside world when flying their new Boeing 777X aircraft fleet. Rockwell Collins’ Head-up Guidance System (HGS™) has been selected by the airline for the 150 777X aircraft on order. The HGS displays will be installed for the pilot and co-pilot to provide training advantages for co-pilots and improve safety by requiring less time in head-down operations. The dual HGS for Emirates’ 777X fleet will complement the numerous Rockwell Collins systems that will come standard on the aircraft, including the first-ever touchscreen flight displays for commercial air transport aircraft. In addition, Rockwell Collins is providing the integrated surveillance system with MultiScan™ weather radar, select flight controls and the Avionics Gateway secure server router, and communication and navigation radios on the 777X. 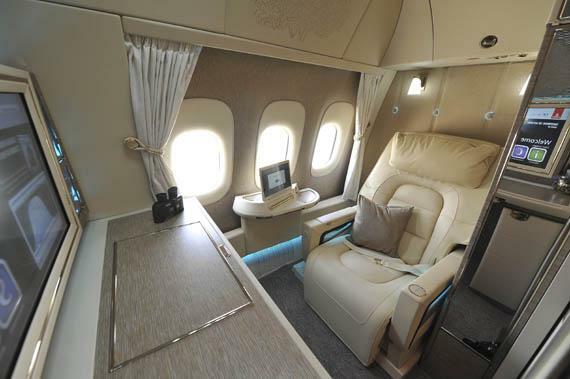 Emirates also selected Rockwell Collins’ GLU-2100 Multi-Mode Receiver and Digital Radio Altimeter for its 777X fleet.